[updated] did jason kenney deepen the conservative divide in calgary-centre? In light of yesterday’s embarrassing missive by federal cabinet minister Jason Kenney about Deputy Premier Thomas Lukaszuk, the race to become the Conservative Party candidate in the yet to be called Calgary-Centre by-election may get more interesting. Suggestions that the by-election could be defined by the deep schism between federal Conservatives (many of whom support the Wildrose Party) and the long-governing provincial Progressive Conservatives may soon become a reality in the lead up to the Conservative Party nomination. Three in. The Conservative nomination contest. Conservative political pundit and former Calgary Herald editor Joan Crockatt and former Canadian Taxpayers’ Federation board member Andy Crooks were the first two candidates to announce their intentions to seek the Conservative Party nomination in Calgary-Centre. Mr. Crooks has already been endorsed by Calgary-West MP Rob Anders, a supporter of the Wildrose Party who is known for his far-right conservative politics. Mr. Crooks was a signatory to the now famous “Alberta Firewall Letter” in 2001, which was also signed by Conservative luminaries Stephen Harper, Ted Morton, Tom Flanagan, Rainer Knopff, and Ken Boessenkool. Two-term Calgary Alderman John Mar, recently in the news for his tough on potato farmers stances, entered the contest last week. 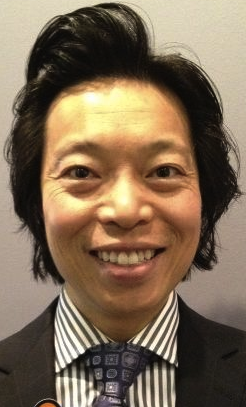 With ties to the PCs, Alderman Mar could represent the voice of moderate Conservatives in the nomination contest. Unless something cataclysmic occurs in the next six months, it is highly unlikely that the by-election in this riding will result in anything but the election of another Conservative MP. The type of Conservative candidate could effect how strong that outcome is. Previous elections suggest that Calgary-Centre has a more moderate conservative streak than some other Calgary ridings. In the 2000 federal election, Progressive Conservative leader and former Prime Minister Joe Clark, a Red Tory, returned to the House of Commons by defeating Canadian Alliance MP Eric Lowther in what was one of the closely watched racesin the country. Another moderate Tory, Lee Richardson, continued this trend until his recent resignation. While it may not translate to votes on the federal level, voters in this riding have a streak of electing non-Conservative representatives on the provincial level, including Liberal MLA’s Kent Hehr and Dave Taylor (Mr. Taylor later joined the Alberta Party). Fresh off the provincial election trail, Beena Ashar has announced her intentions to seek the Liberal Party nomination. As the Liberal candidate in Calgary-Elbow, Ms. Ashar placed a distant third behind Premier Alison Redford. She also placed third when challenging Ward 5 Alderman Ray Jones in the 2010 municipal election. 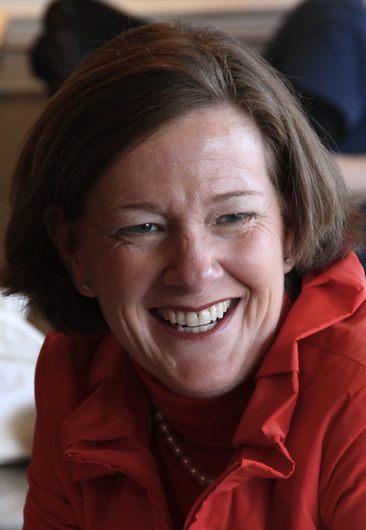 Past Liberal candidate and former school board chair Jennifer Pollock announced on Twitter last week that she would not be running in the by-election. Update: William Hamilton, the 2011 Green Party candidate, has announced that he will seek the Green Party nomination when the election is called. Mr. Hamilton was also the EverGreen Party candidate in Calgary-Elbow in the recent provincial election. Update (July 24, 2012): Andy Crooks has dropped out of the Conservative nomination. This entry was posted in Alberta Politics and tagged Alison Redford, Andy Crooks, Beena Ashar, Dave Taylor, Eric Lowther, Jason Kenney, Jennifer Pollock, Joan Crockatt, Joe Clark, John Mar, Ken Boessenkool, Kent Hehr, Lee Richardson, Rainer Knopff, Ray Jones, Rob Anders, Stephen Harper, Ted Morton, Thomas Lukaszuk, Tom Flanagan, William Hamilton on June 20, 2012 by Dave Cournoyer. [updated] lee richardson resigns, calgary-centre by-election could be a conservative proxy war. After a bitterly fought provincial election campaign drove a deep rift into Alberta’s conservative movement between the moderate institutional Progressive Conservatives and the ideologically-driven Wildrose Party, a federal by-election in Calgary may be the first real test of how united supporters of the federal Conservative Party supporters are in Alberta. Calgary-Centre Member of Parliament Lee Richardson announced today that he is leaving Ottawa to become Principal Secretary to PC Premier Alison Redford in Edmonton. Mr. Richardson’s decision will boost Premier Redford’s credentials among federal Conservative supporters, many of whom were openly supportive of Wildrose Party leader Danielle Smith in the recent election. As a senior political advisor, Mr. Richardson is an old pro. From 1979 to 1983, Mr. Richardson was Chief of Staff to Alberta Premier Peter Lougheed and later served as Deputy Chief of Staff to Prime Minister Brian Mulroney. In last year’s PC leadership contest, Mr. Richardson supported candidate Rick Orman, who he worked with at the Legislative Assembly before he was first elected as a PC MP in Calgary-Southeast in 1988. He served until his defeat by Reform Party candidate Jan Brown in 1993. He re-entered federal politics as the Conservative MP for Calgary-Centre in 2004. Triggering a by-election that will occur in the next six months, the contest for the Conservative Party nomination in this constituency could expose some uncomfortable cleavages between moderate and ideologically conservatives in Alberta. 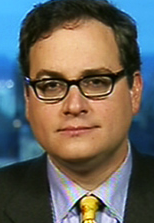 A Twitter account supporting the possible candidacy of right-wing talk show host Ezra Levant was created within a hour of Mr. Richardson’s announcement. Many Albertans may remember Mr. Levant as the Wildrose Party’s biggest cheerleader on his cable news program during the recent provincial election. 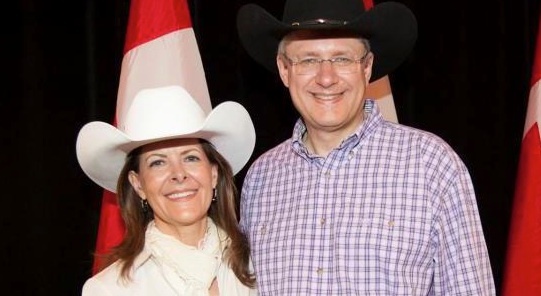 In 2002, he stepped down as the Canadian Alliance candidate in Calgary-Southwest to allow Stephen Harper to win a seat in the House of Commons. Also rumoured as a potential candidates are Calgary Alderman John Mar, who has close connections to PC Party organizers, and recent Calgary-Klein Wildrose Party candidate Jeremy Nixon. Mr. Nixon placed second with more than 34% of the vote in the recent election. Although unlikely in my mind, one Conservative supporter emailed me this evening to name former Calgary-Glenmore Wildrose MLA Paul Hinman as a potential candidate. Of course, the Conservatives could avoid a nasty nomination battle and simply acclaim a candidate, as they did to party organizer Michelle Rempel after cabinet minister Jim Prentice resigned as MP for Calgary-Centre North in 2010. The Liberals earned respectable second-place votes in this constituency under its former boundaries in the 1990s, but have fallen further behind the Conservatives in recent elections. In the 2011 federal election, Liberal candidate Jennifer Pollock placed second with 17% of the vote, a full 40% behind Mr. Richardson. Edmontonian parachute candidate Donna Montgomery earned 14% for the NDP. While some sort of centre-left coalition could place a respectable second in the imminent Calgary-Centre by-election, it seems unlikely that anyone other a Conservative would win this vote. UPDATE: Mr. Levant has declared he will not seek the nomination. Alderman Mar is considering running for the nomination. This entry was posted in Alberta Politics and tagged Alison Redford, Brian Mulroney, Danielle Smith, Donna Montgomery, Jan Brown, Jennifer Pollock, Jeremy Nixon, Jim Prentice, John Mar, Lee Richardson, Michelle Rempel, Peter Lougheed, Rick Orman, Stephen Harper on May 31, 2012 by Dave Cournoyer. – New polls from Angus-Reid (Wildrose: 42%, PC: 27%, Liberal: 19%, NDP 9%, Other 3%) and Environics (PC: 34%, Wildrose: 30%, Liberal: 23%, NDP 10%). Calgary Grit has more on these polls. 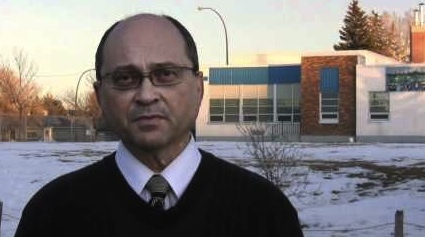 – Vitor Marciano is expected to become the new Executive Director of the Wildrose Alliance. Mr. Marciano recently stepped down from his position on the National Council of the Conservative Party of Canada and served as Campaign Manager for Edmonton-Centre MP Laurie Hawn in 2004 and 2006, and for Nunavut MP Leona Aglukkaq in 2008. 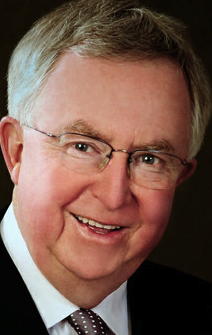 In 2006, he supported former Edmonton-McClung PC MLA Mark Norris‘ bid for the PC leadership. This is the second prominent Edmonton conservative to join Danielle Smith‘s staff in recent months. In February, former PC Party VP Outreach and 2004 Edmonton-Strathcona candidate Shannon Stubbs became Executive Assistant to Ms. Smith. – Former Edmonton-Meadowlark Liberal MLA Maurice Tougas has written a piece in this month’s Alberta Views Magazine that focuses on Danielle Smith’s time on the Calgary Board of Education from 1998 to 1999. Mr. Tougas’ reliance on comments from former Trustee Jennifer Pollock provided a fairly one-sided perspective of the issue. You can read my four part series Smith v. Board of Education part 1, part 2, part 3, and part 4. 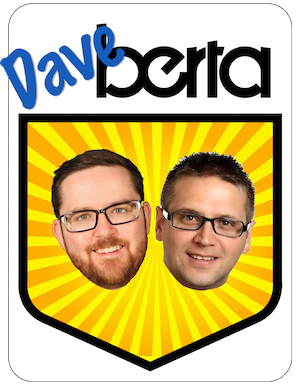 – The Alberta Party has posted an update on The Big Listen. – Tyler Shandro has raised some interesting questions about the interim report of Alberta’s Electoral Boundaries Commission. This entry was posted in Danielle Smith, David McColl, Ed Stelmach, Jennifer Pollock, Jim Campbell, Laurie Hawn, Leona Aglukkaq, Maurice Tougas, Patricia Godkin, Peter Elzinga, Shannon Stubbs, Vitor Marciano and tagged Danielle Smith, David McColl, Ed Stelmach, Jennifer Pollock, Jim Campbell, Laurie Hawn, Leona Aglukkaq, Maurice Tougas, Patricia Godkin, Peter Elzinga, Shannon Stubbs, Vitor Marciano on March 15, 2010 by Dave Cournoyer.